Alpha & Omega - The REAL Deleted Scene XD. Found this on Google Pictures .. kinda weird but also fun! XD. HD Wallpaper and background images in the Alpha and Omega club tagged: alpha and omega wolves humphrey kate. 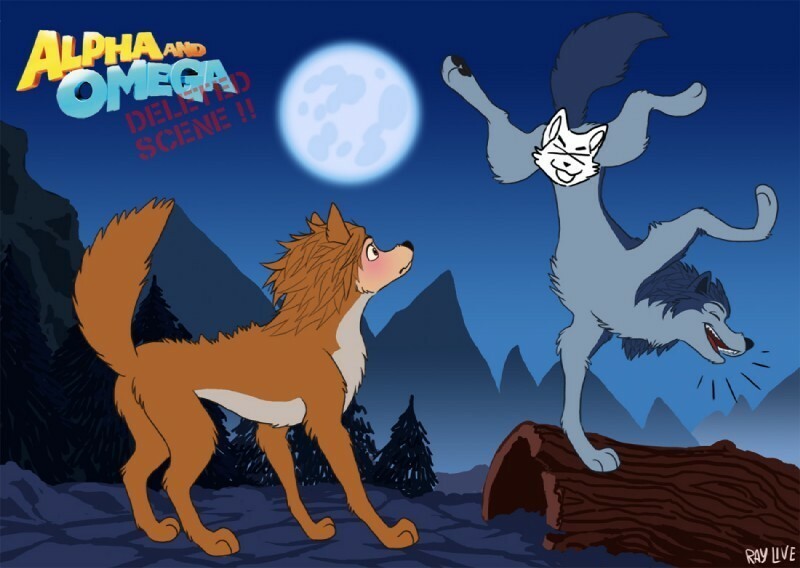 This Alpha and Omega photo contains anime, comic kitabu, manga, cartoon, and mkono.